Many people on Earth take St. Valentine’s Day to celebrate the love they share with the special someones in their lives. It’s a day of roses by the dozens, chocolates in heart-shaped boxes, and sweet little love notes. NASA will be marking February 14 a little differently, by revisiting an old friend whom NASA last left on less-than-amicable terms. But first, a little history on a couple of previous NASA missions that make this third one possible. The second mission that adds to this story is Deep Impact, which was launched in 2005. Its primary mission was to analyze the composition of 9P/Tempel, by releasing an impactor to smash into the comet, and then analyze the debris kicked up. High Resolution Instrument, Visual CCD (HRIV) during encounter / Source: NASA / Click for bigger version. On July 2005, the impact was a success, and added to our understanding of comets, their origins, and was further proof that NASA can successfully undertake significantly ambitious projects. That being said, the impact created a very bright dust cloud which made observations of the impact crater difficult to impossible. 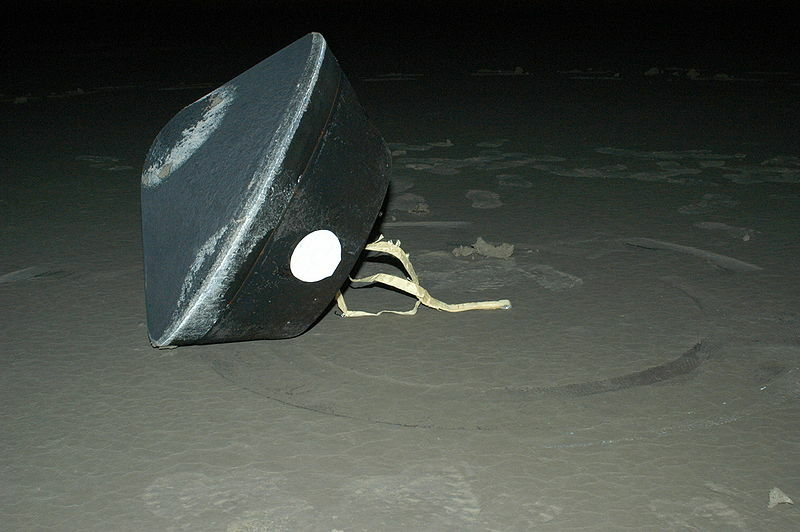 After Stardust’s return to Earth and release of the samples capsule, NASA had to decide what to do, if anything, with Stardust. In 2007, they decided to maneuver Stardust over to Tempel for a second chance at observing the impact crater Deep Impact left during its impactor mission. 4 years later, Stardust is nearly there and ready to report its findings. On Valentine’s Day, February 14 at 8:56pm (PST), Stardust will make its closest approach to Tempel and NASA will be providing a number of venues for coverage. The coverage will include live commentary from mission control at NASA’s Jet Propulsion Laboratory (JPL) in Pasadena, Calif., and video from Lockheed Martin Space System’s mission support area in Denver. Luckily, space science is exciting and interesting enough that I don’t need to try to enhance it with personification and drama. I just need to tell you when to watch! Gather the family and enjoy the coverage. Happy Valentine’s Day.